This anime was disjointed, with some scenes that did nothing, The opening scene, could have been a 5 second explanation later in the anime. There seems to be a lack of flow in it, I like my anime to have a flow from start to finish. If seems like all the scenes were put into a hat and then shown in the order they came out of the hat. I would upgrade the rating, if it wasn't so disjointed. It has possibilities and this is only the first episode. There were moments of humor, so it did make me laugh. I'm so happy to see this got an anime. I love Rumiko Takahashi's works. Now I gotta catch up on the manga. I don't get why people say the series and/or the characters are boring, I really enjoy the style and the way the characters act. Definitely gonna keep up with this one. Rumiko Takahashi is truly one of the best manga artists out there. 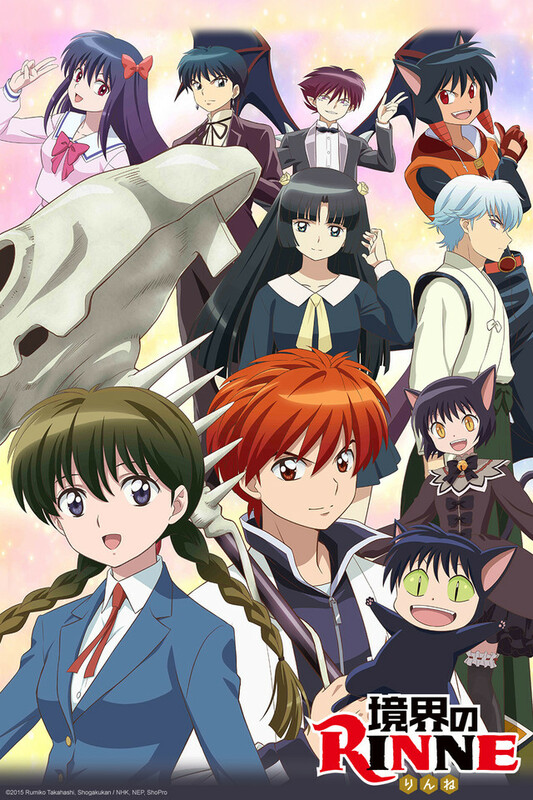 While the RIN-NE series does fall a little short compared to her previous work(Ranma 1/2 and InuYasha to name a few). RIN-NE is another charming and memorable series Takahashi created in it's own right.